Kratom Spared DEA Schedule I Status — For Now : Shots - Health News The agency has decided to leave kratom off its list of highly restricted drugs for now. The DEA is asking for public comment and help from the Food and Drug Administration in evaluating kratom. Kratom, seen in capsule form here, has been under review by the Drug Enforcement Administration for possible restriction. It's been a wild ride for kratom lately. Now, the DEA is withdrawing its notice of intent to put kratom in the most restrictive category of controlled substances, with drugs like LSD and heroin. The DEA says it will instead open an official public comment period — to last until Dec. 1, 2016 — for people to share their experiences using kratom as a medical treatment. It has also requested that the Food and Drug Administration expedite scientific research. DEA spokesman Russ Baer says the DEA received more than 2,000 phone calls since August, mostly in opposition to the plan to classify kratom as Schedule I. "So in a spirit of transparency, and to open this up to public dialogue, we withdrew our notice to temporarily schedule kratom," Baer says. "We will then give full consideration to those comments before we move forward with any action." Kratom is derived from the leaves of a tree native to Southeast Asia. It is a relative of the coffee plant. According to David Kroll, a pharmacologist and medical writer, farmers and indigenous people have used it for hundreds of years as both a stimulant to increase work output and also as a way to relax. 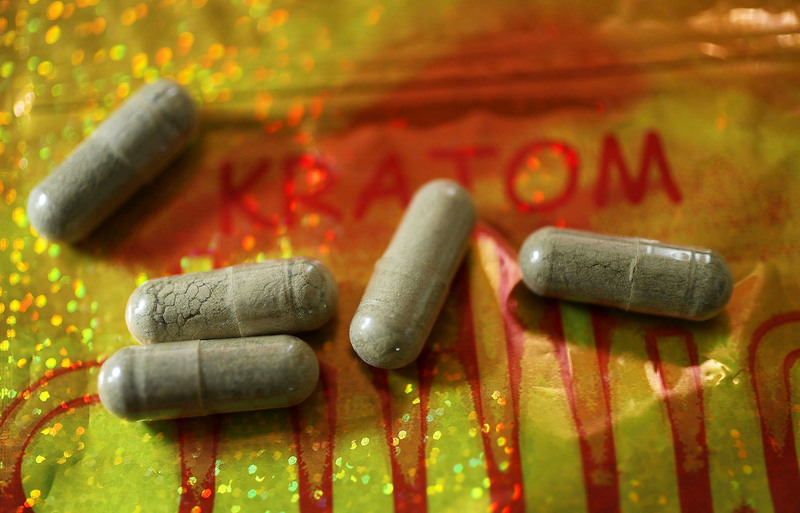 In the U.S., kratom has become popular among people coping with chronic pain and others trying to wean themselves off opioids or alcohol. The main active ingredients in kratom are mitragynine and a related chemical that bind to some of the same receptors as opioids, providing some pain relief and feelings of euphoria. But, Kroll says, not the same high. And the chemical isn't known to cause the same, sometimes deadly, side effects as opioids, such as respiratory depression. Still, the DEA attributed 15 deaths to kratom between 2014 and 2016. Fourteen of the 15 people who died also had other drugs or illegal substances in their systems. Kratom advocates, like Karisa Rowland of Cleburne, Texas, point out that opioid abuse kills tens of thousands of people every year. She's thrilled that the DEA will now take time to gather public comments and more scientific research. "Now that the DEA is officially withdrawing the proposal, I can continue the crusade for the rights of chronic pain sufferers like myself," Rowland says. She attributes the change in position to work by activists and to lawmakers who urged the DEA to reconsider its "hasty" ban. Kendra Jowers, an attorney who works in the substance abuse treatment industry in Florida, says in an email she is heartened that the DEA has reconsidered what she calls a "misguided and improper attempt to schedule kratom without the input of relevant stakeholders." 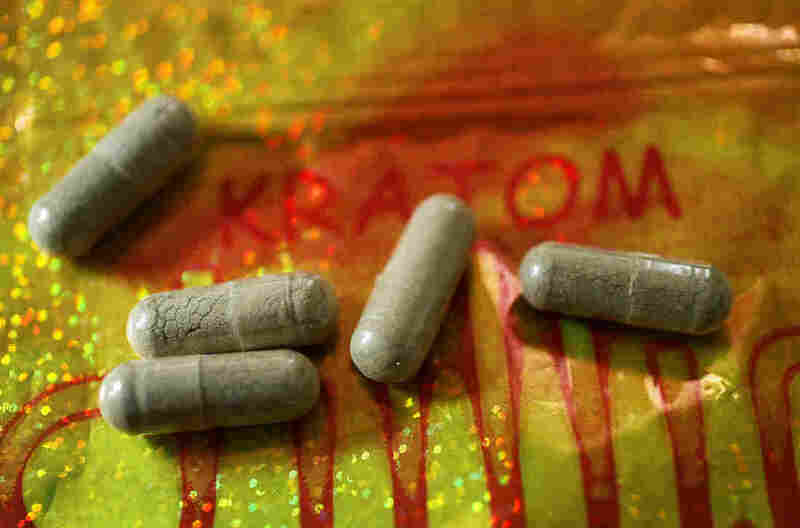 "This represents a huge sigh of relief for individuals who have come to rely on kratom to overcome addiction or maintain their sobriety," Jowers says. "At least for the time being, it relieves some [of] the terror people felt at once again facing a life of intractable pain or depression. It has been a lot of work to get to this point, and now I encourage people to fully engage in this hard-fought comment period." Kratom user Seth Long of Kearney, Neb., is also pleased the DEA is listening to the public. "The DEA spokespeople have emphasized their reliance on science rather than anecdote in making scheduling decisions, so given the response not just from the public but from research scientists at Columbia University, among other institutions, they seem willing to admit their mistake in lumping together a coffee plant with synthetic 'designer' drugs," he writes in an email. "I hope the decision signals the DEA's willingness to become a more responsive institution and isn't just squid ink covering the same old drug war policies." Instructions for submitting a comment by mail or electronically can be found in the DEA's Oct. 12 announcement. After the public comment period ends Dec. 1, the DEA could still decide to temporarily ban kratom, or permanently place the plant in a scheduled category defined by the Controlled Substances Act. The agency could also decide to leave kratom unregulated. This story is part of a reporting partnership with NPR, KERA and Kaiser Health News.